Leather hiker-style boot with anti-static and shock absorbing properties and dual density polyurethane sole, resistant to petrol and oil. Incorporates a cambrelle lining to absorb perspiration and keep feet fresh. Three pairs of rings and two hooks ensure quick access and lacing. Short loop pull at the back. Comes with care booklet. Sizes 4-12. 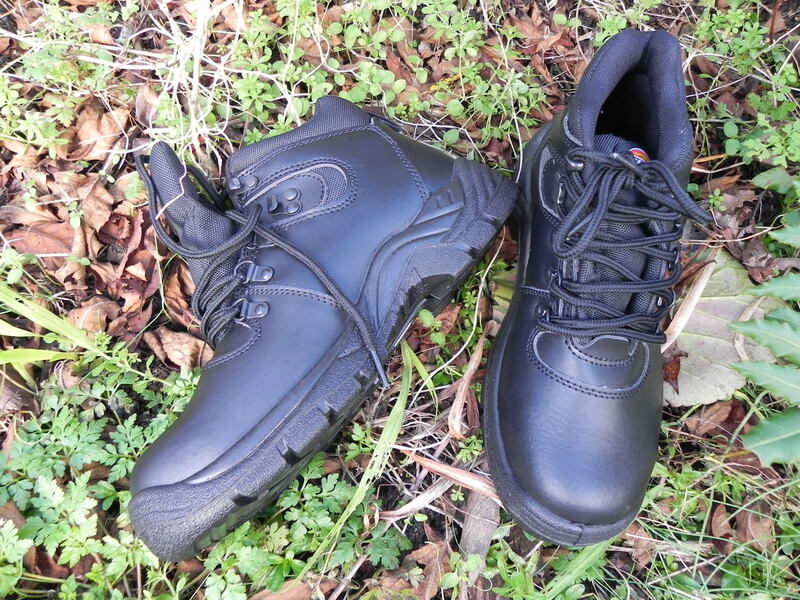 If you need a safety boot for long hours, take a look at this one. Perhaps not the toughest boot in the test but remarkably comfortable and required no breaking in. Lightweight, so ideal for rambling or leisure use. They also provided a reasonably sure grip on slimy paving slabs and were easy to drive in too. A cracking boot for the price and one that gets more comfy every day, although only time will tell if they are long lasting.